A few years ago, my sister’s friend posted a Facebook status along the lines of: “ah, Mondays. The day I throw a bag of soggy spinach into the trash and buy a new bag, which will sit in my fridge until next week.” It made me laugh so hard! I’ve been there. Sometimes, I have the best of intentions, but I forget about something or leave it a bit too long. I’ve got a post in the works about how to cut down on kitchen waste, but for now, my favorite method for spinach is smoothies. These chocolate cherry smoothies taste so fudgy and rich, not a soul in my house other than me even knows they contain spinach. That feels like winning. I just love when healthy food tastes like dessert. 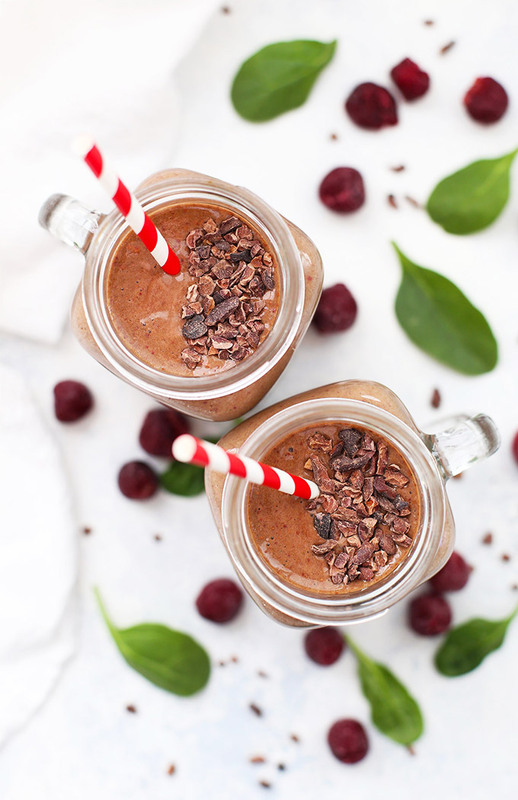 Frozen cherries, spinach, and cacao powder are all loaded with antioxidants, which makes me feel extra glad every time I sip this smoothie. What I love even more is that it really does taste like a shake. 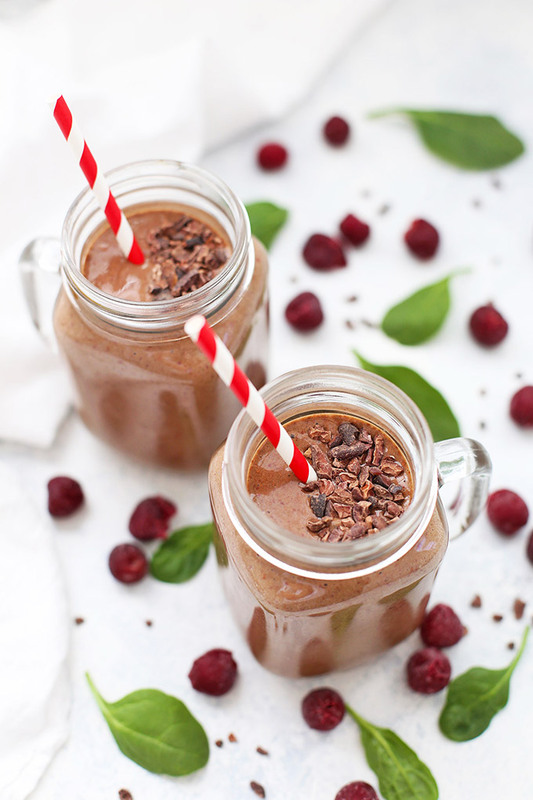 The chocolate and cherry combination is one of my favorites, and they’re so nice together in a smoothie. This one is nice and thick, perfectly sweet, and, with a little protein boost, has a nice balance of nutrients. 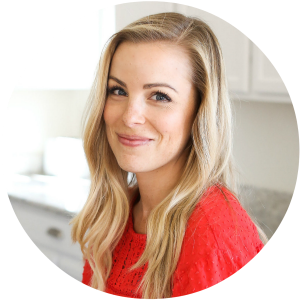 It’s made from healthy enough ingredients that it’s an easy breakfast or snack, but has all the flavor of dessert (my favorite!). 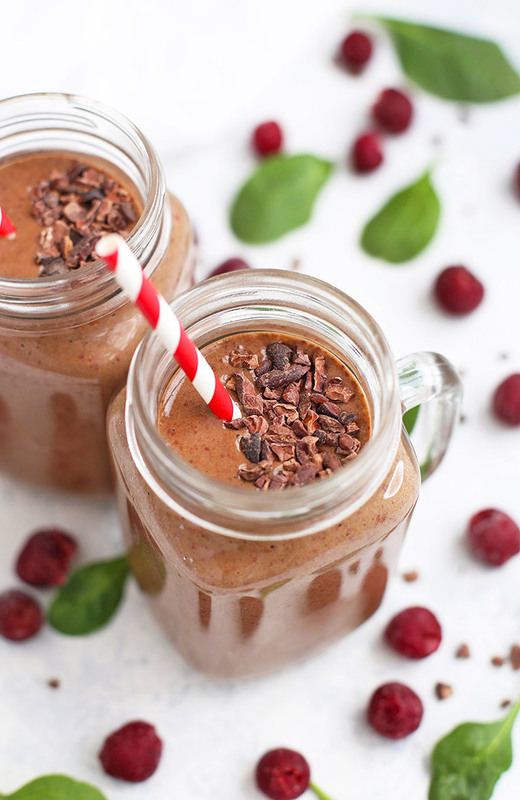 Chocolate Cherry Smoothie for the win! Let’s talk protein. My favorite protein powder is collagen. It’s a very clean and nutrient-rich protein source. It’s nondairy but is animal sourced, so it’s not a great choice for vegans or vegetarians. For a vegan/vegetarian protein boost, a few tablespoons of chia or hemp seeds blend in really well! You can certainly leave out any of the protein options, I’ve just found that they help moderate a sugar rush and keep me full longer. If you don’t have a high-speed blender… try pureeing your greens and milk before adding the other ingredients. This will help get you that velvety smooth finish, without any leftover pieces of spinach floating around. It was my go-to trick before I got my Blendtec. Consider trying...cacao nibs for a garnish. They’re unsweetened cacao in piece form. (Kind of like nature’s chocolate chips!) They’re a bit on the bitter side, but they’re really nice with this smoothie! Or, you can chop up a little chocolate or chocolate chips. I’ll never tell! 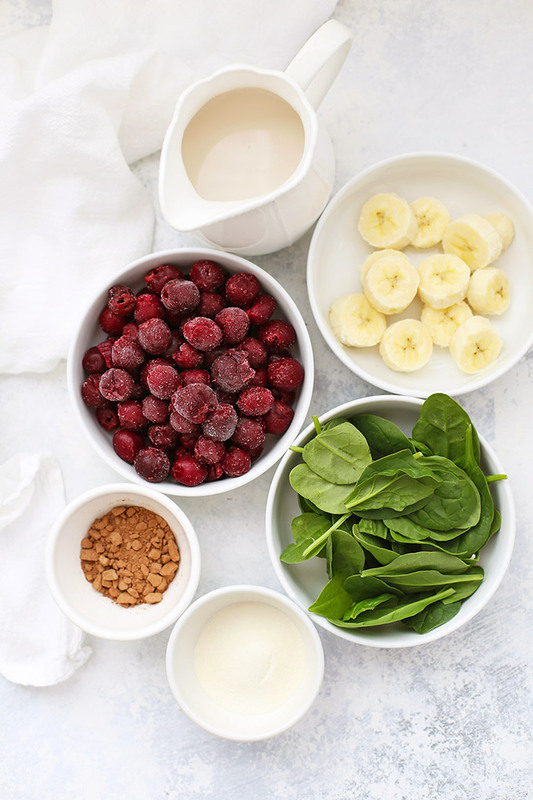 Place all ingredients in your blender and puree until smooth. Pour into glasses and enjoy! NO HIGH SPEED BLENDER? Puree your spinach and milk together before adding the other ingredients. This will help give you the smoothest finish. 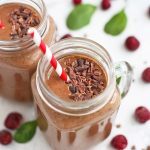 CACAO – 2 Tbsp of cacao will give you a more pink/cherry smoothie, where 3 Tbsp will amplify the chocolate color and flavor. Do what you prefer! 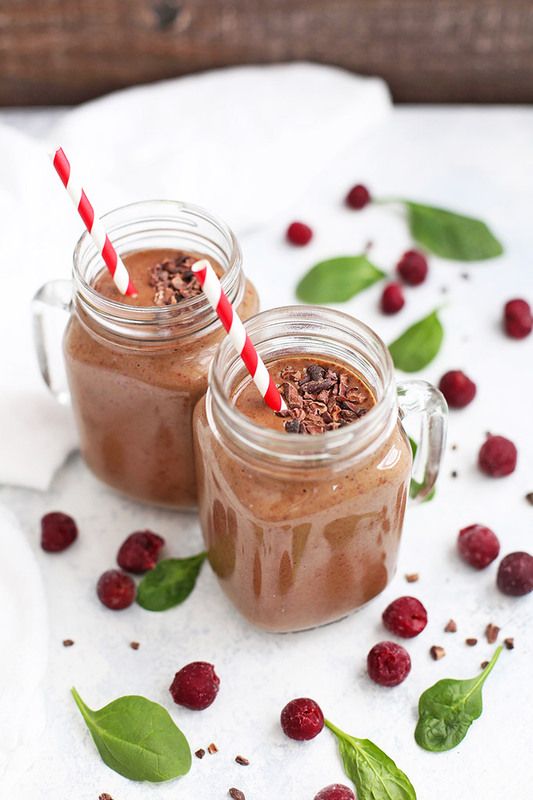 FOR A THICKER SMOOTHIE – Try using a frozen banana cut into pieces. You may need a bit more milk to blend, but this will give you a frosty texture. Or, you can try adding about 1 cup of ice. This is delicious! I cut the recipe in half for me and my toddler and she drank as much as I did. We plan to try the dole whip popsicles next. Thank you for a great recipe! Oh, this makes me so happy! I’m so glad you enjoyed it! Hello, can i ask something? İs a cup how much ml or mg? İ mean 1 cup cherries how many cherries? How many grams? I don’t have cherries on hand to measure myself, but a quick Google search tells me that you’re looking at about 138 grams for 1 cup raw cherries (that includes pits). I hope that helps! This was awesome! Thanks so much!